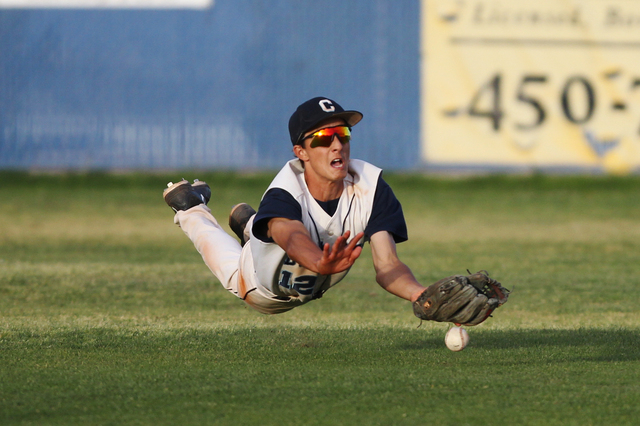 Kyle Horton and Jake Portaro homered, and Centennial outslugged Chatsworth (Calif.) on the way to an 11-5 victory Wednesday in the championship game of the Blazer Spring Bash at Centennial High School. 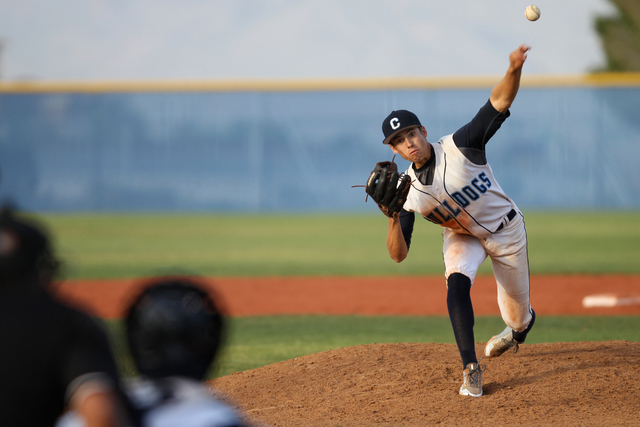 Centennial baseball coach Charles Cerrone took a gamble and saved ace left-hander Zachary Dixon in anticipation of a pitcher’s duel in the championship game of the Blazer Spring Bash. Instead, the wind started blowing out and it was the host Bulldogs’ offense that took center stage. 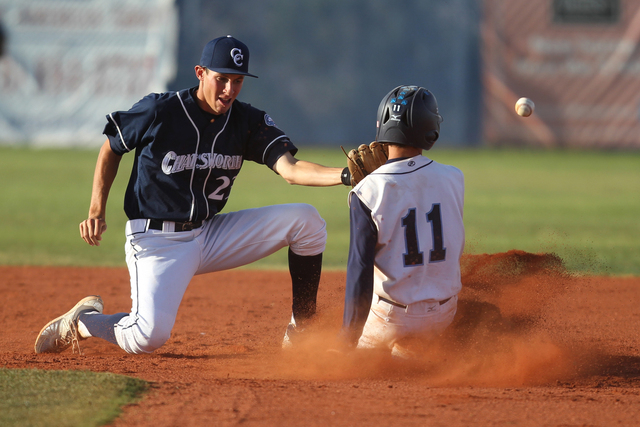 Kyle Horton and Jake Portaro homered, and Centennial outslugged Chatsworth (Calif.) on the way to an 11-5 victory Wednesday that capped a 5-0 run in the tournament. 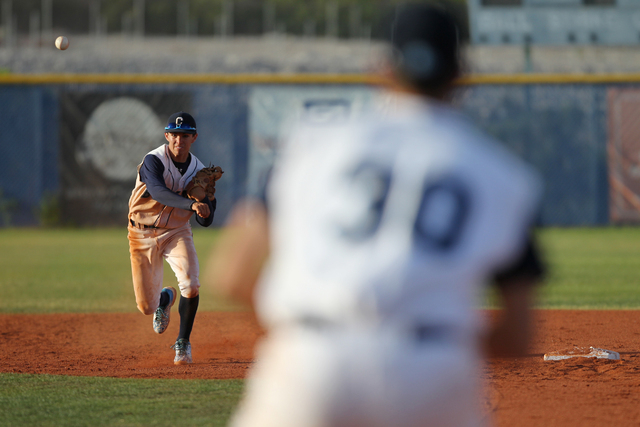 Portaro finished 2-for-3 and drove in four runs for Centennial (13-5), which took advantage of six walks and a hit batter by four Chancellors’ pitchers. 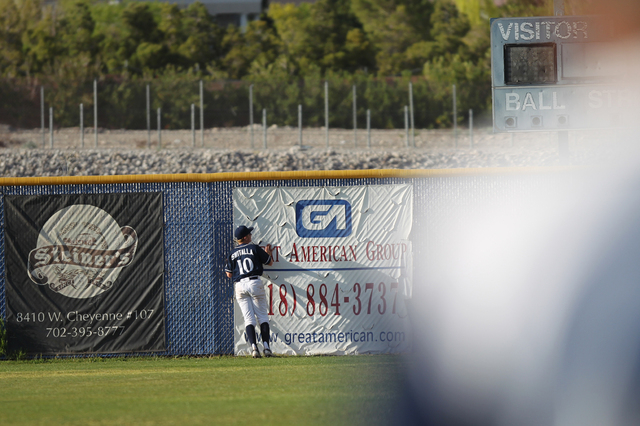 After Chatsworth rallied from a 4-0 hole to tie the score 5-5 on Niko Switalla’s two-run homer in the top of the fourth inning, the Bulldogs regained the lead for good in the fifth. 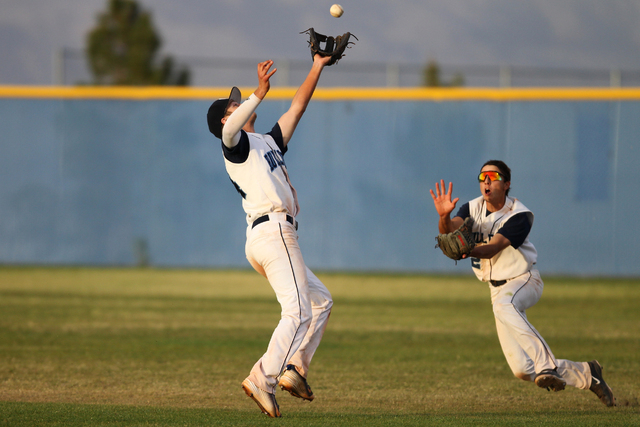 Gino Sabey and Dixon drew one-out walks, and Portaro followed with a two-run triple to deep center field that gave Centennial a 7-5 lead. Travis Stevens then singled home Portaro to make the score 8-5. 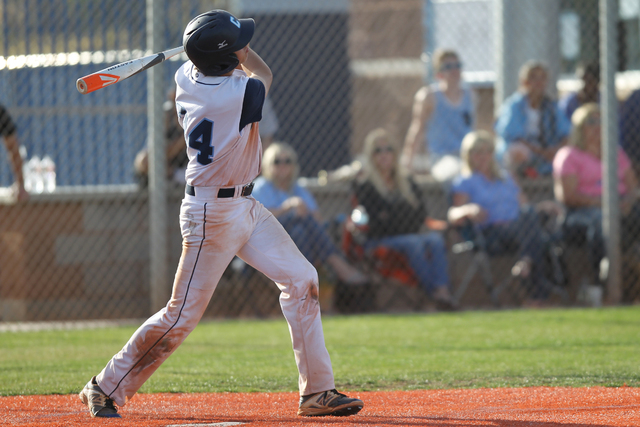 In the sixth, Dixon’s sacrifice fly to left put Centennial up 9-5, and Portaro golfed a two-run homer to left to cap the scoring. Dixon went 2-for-2 with an RBI, and Stevens finished 2-for-3 and drove in two runs. Dixon, who has signed with Arizona State, battled through five innings, allowing five runs and six hits before giving way to closer Jordon Wyke. The Chancellors loaded the bases with one out in the sixth trailing 8-5, but Wyke struck out Daniel Zakosek and got No. 3 hitter Anthony Renteria to pop out to shallow left to end the threat. The hard-throwing Wyke, who closed the door on Centennial’s 10-7 semifinal win over McQueen, struck out two in the seventh inning to capture his second save of the day. After Stevens’ RBI single in the first inning, Horton lifted a three-run homer to left that got a little help from the breeze and gave the Bulldogs a 4-0 lead. 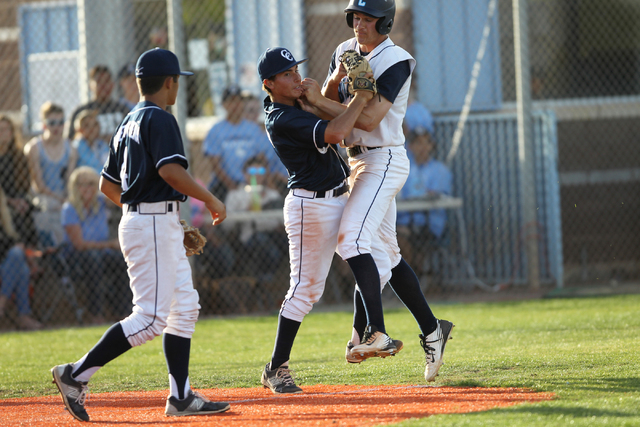 Jared Drizen added an RBI single in the second for Centennial. Contact reporter David Schoen at dschoen@reviewjournal.com or 702-387-5203. Follow him on Twitter: @DavidSchoenLVRJ.